Pasha posing on top of Big Red, the Simpson Desert’s tallest dune. 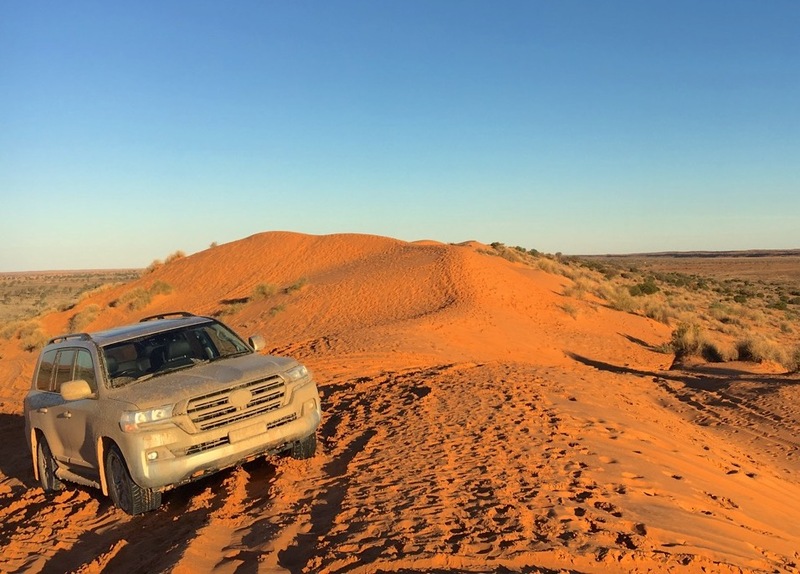 This is Part 3 and the final iteration of our test drive of the Toyota Land Cruiser into the mighty Simpson Desert in Australia, the largest sand dune desert in the world. You can see Part 1: Getting there here and Part 2: The Crossing here. 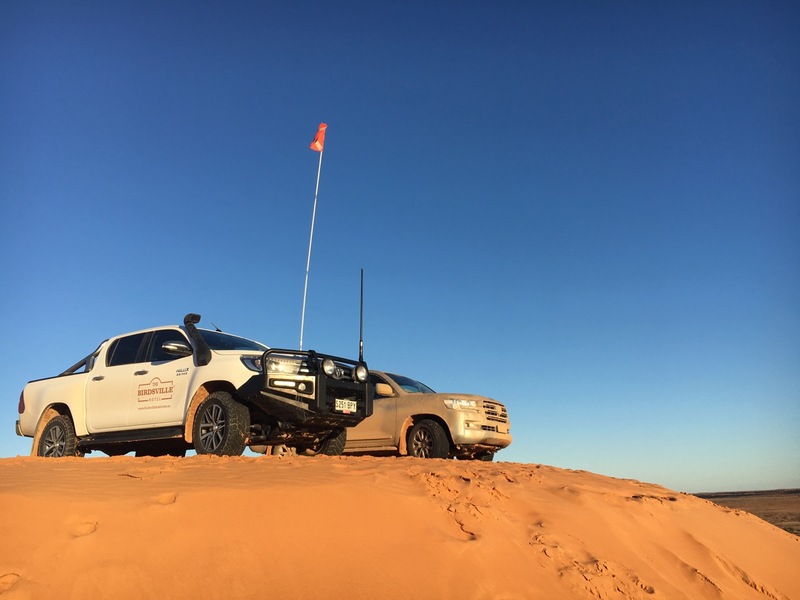 Now that the crossing is cleared, there are still a few hurdles to pass, starting with the climbing of Australia’s tallest sand dune: Big Red. 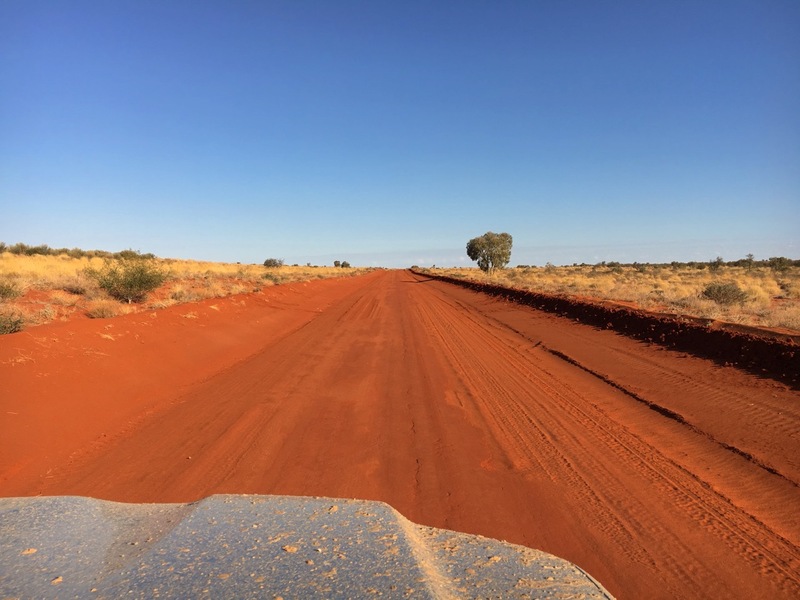 Then it’s time to head over 2.360 km back to Sydney, but not before a further 1.000km of unsealed tracks to Innamincka, Cameron Corner, Tibooburra and Packsaddle. Hold on tight! 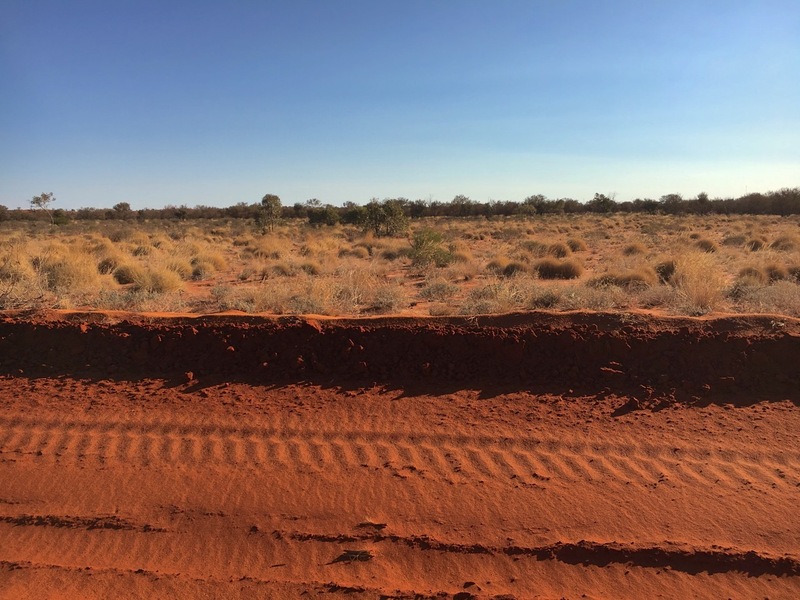 We are now headed back towards Sydney through a large patch of unsealed desert tracks. Our new drone has been hard at work! Pasha clearing Big Red (top) and cruising through the desert. But first let me introduce you to BSCB’s newest “employee”: our new DJI Phantom 4 Advanced drone that I had the pleasure of inaugurating on this Simpson Desert trip. This new addition to the team will allow another layer of coverage from a completely different angle and hopefully you will enjoy the new videos and photos in this as well as all our future test drives. 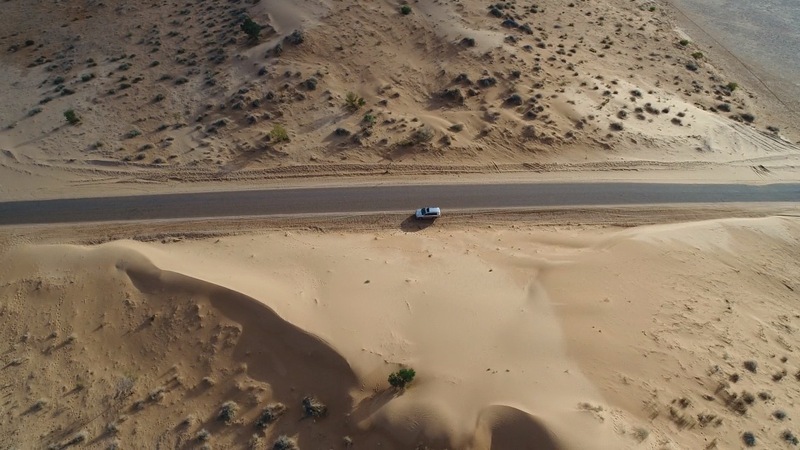 There are a few automated modes that enable the drone to shoot from above following the car even though I am driving the Land Cruiser and don’t control anything on the drone, as illustrated in the two videos above. Orange hues during sunset on Big Red. 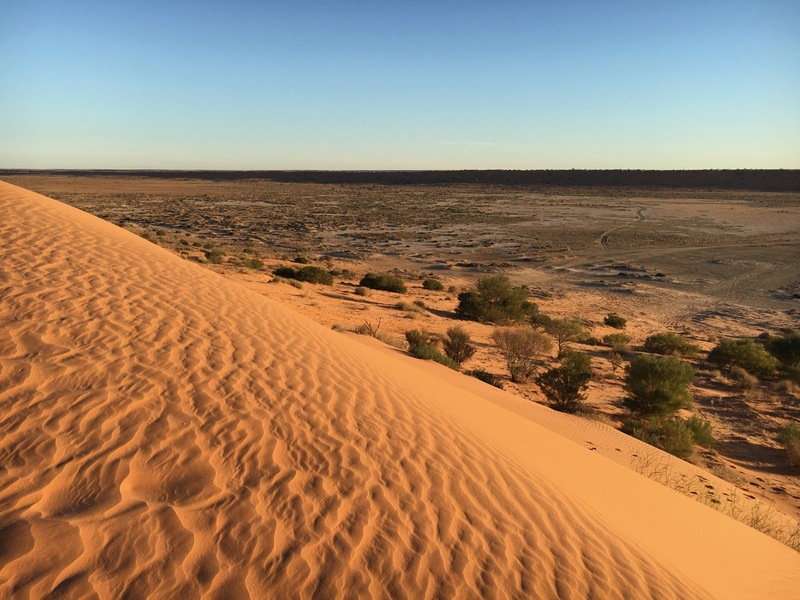 With the drone tagging along, we are headed towards the highest sand dune in the Simpson Desert, Big Red, towering at 40m / 130ft high. 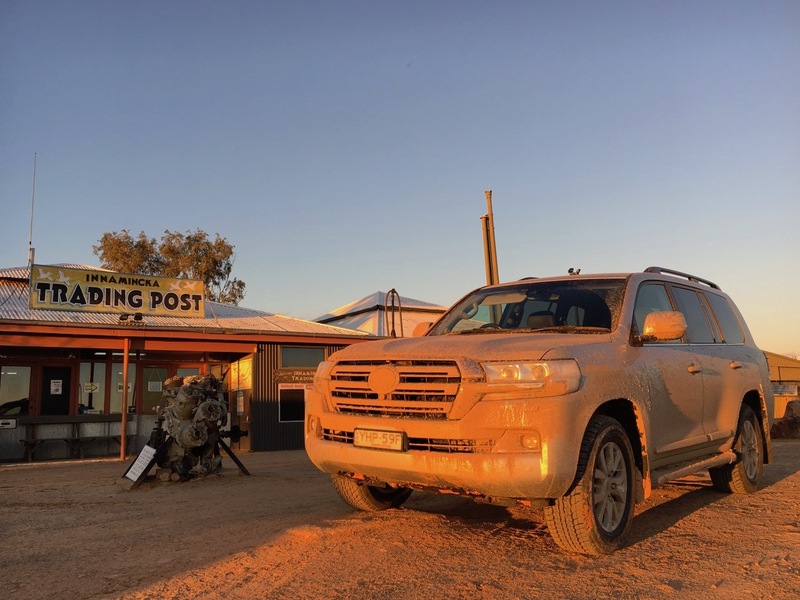 This is not our first time enjoying the sunset on Big Red, we did so after a perilous crossing of the Birdsville Track back in July 2016 wth a Haval H8 but we passed on Big Red last time we were in Birdsville in March with a Toyota Prado, instead meeting all the locals. 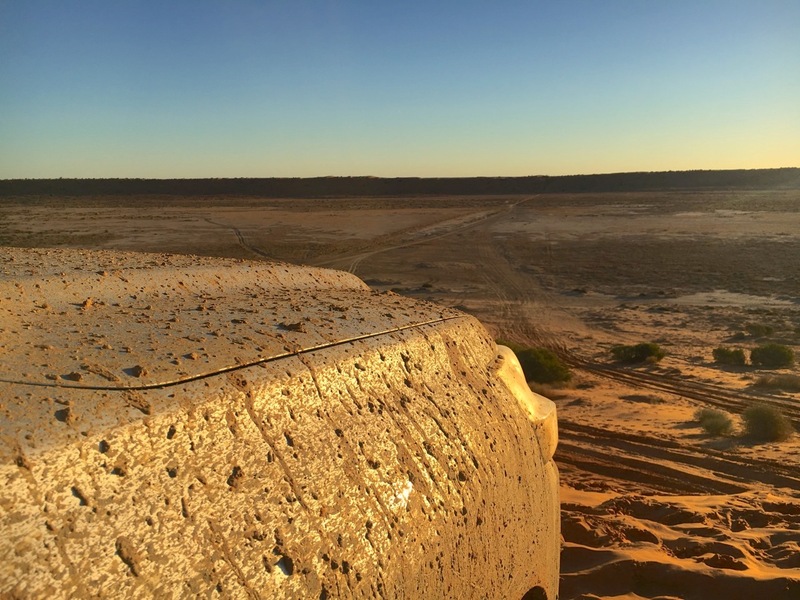 There are two ways to climb Big Red, located 40km / 25mi west of Birdsville: one hard, one easy. 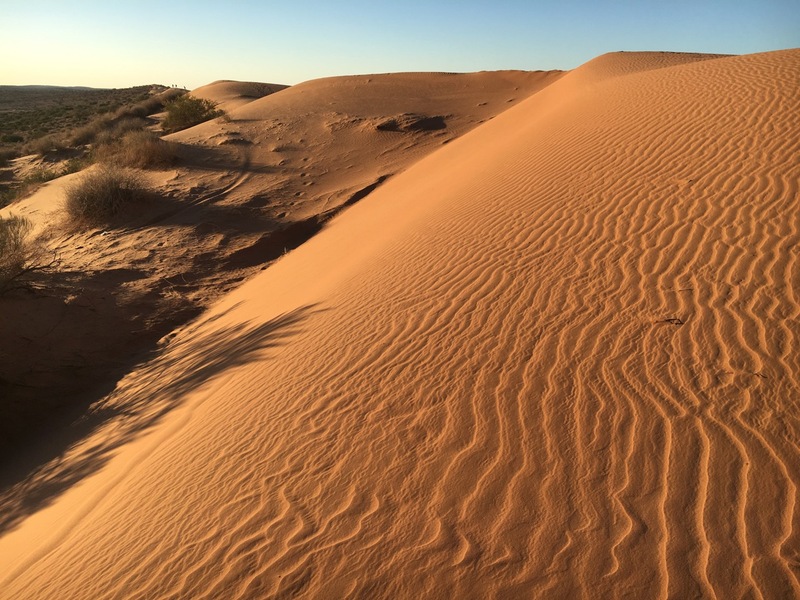 Contrary to all other dunes in the Simpson Desert, it’s the western slope that’s a lot steeper and a lot harder to climb. Last time I found myself atop Big Red, with a Haval H8, I reached the top the easy way from the West. But this year I’m up for the challenge and want to climb from the East. 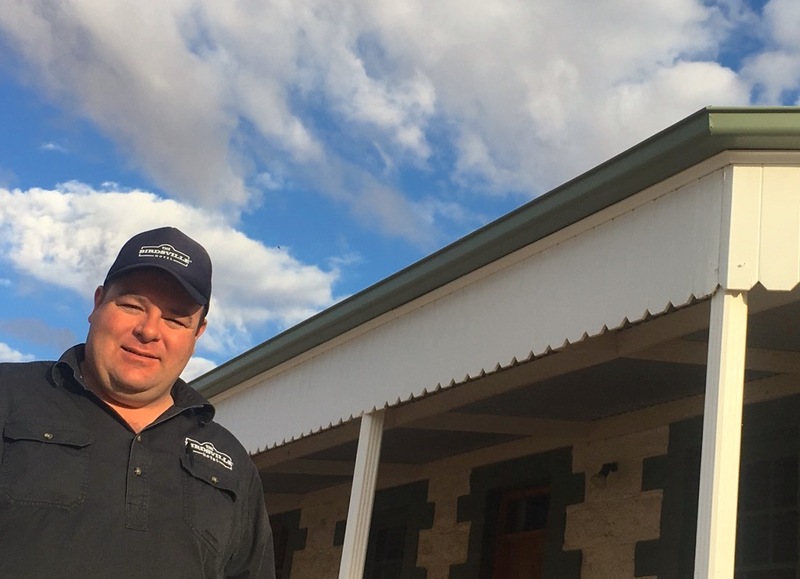 My desert whisperer, Birdsville Hotel General Manager Ben Fullagar (see the end of Part 2), has all the tips once again. 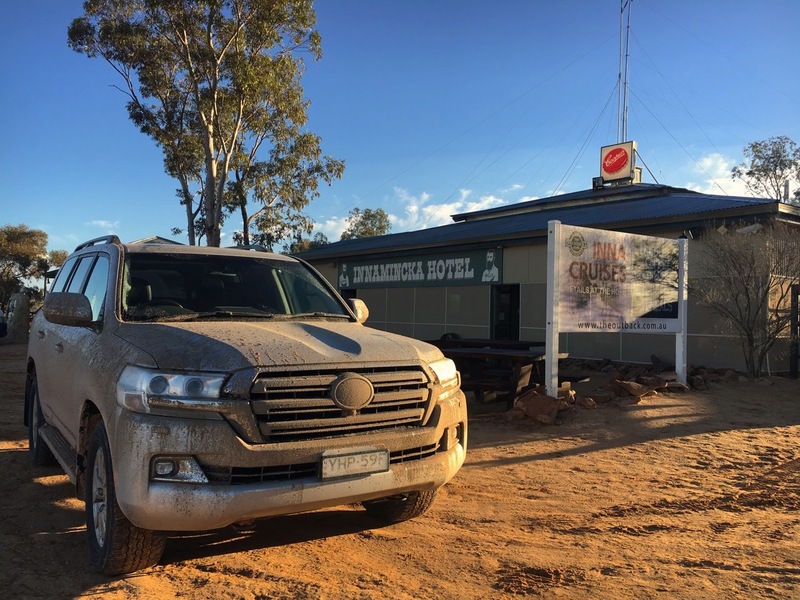 A big thanks to Ben Fullagar and the Birdsville Hotel for making this crossing possible. Made it to the top of Big Red! At the time of climbing there was a flat non-corrugated patch on the left-hand side at the bottom of the dune that allowed you to increase your speed high enough for a perfect climb (you can see the Hilux veering to its left at the very start of the video above), then the best track was to the right of the climb (watch how the Hilux turns right to catch it at the start of the climb). The most important thing is to fully concentrate on remaining within that track: it’s harder than it sounds at full speed as this is not a straight path. If you lose the track the car will be slowed down by the sand and you won’t make it. You can also see how I followed these instructions on the first video in this article, see how I first veer left to speed up, then veer right to catch the correct track, committing to it all the way to the top. Now it’s your turn, I’m watching! 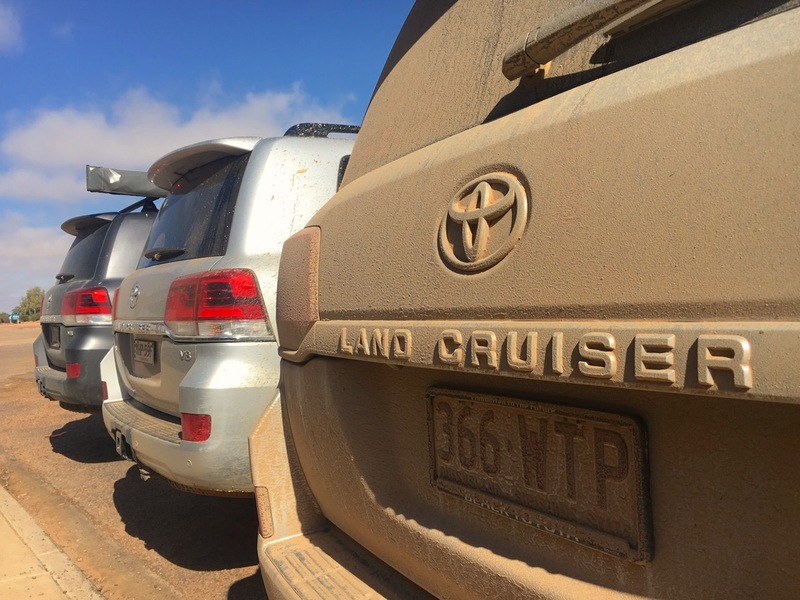 It’s Land Cruiser territory in Birdsville! 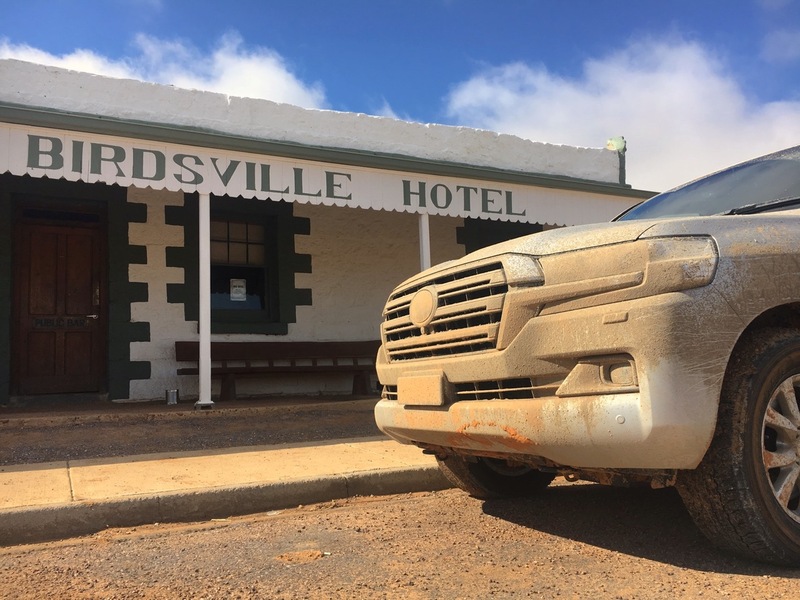 It’s always fascinating to observe which cars make it to Birdsville. 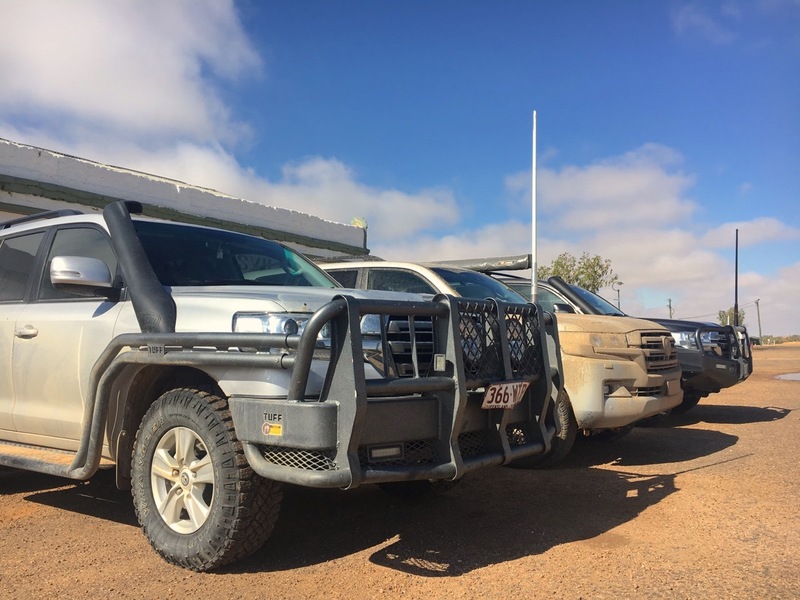 From top to bottom on the above illustrations: a valiant Great Wall X-Series pickup, now replaced by the new generation Steed in Australia. 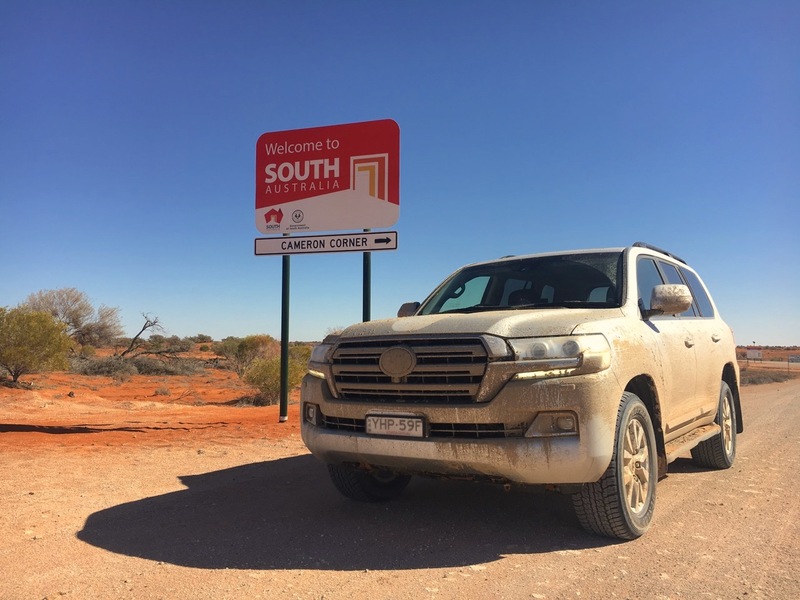 As we noticed during our two trips to Outback Australia in a Haval H8 and H9, the Great Wall brand is relatively well known in this part of the world. Contrary to city-slickers perceptions, this Chinese brand ends up being very reliable, especially for the price. The word has spread and one large nearby cattle station opted for not one, but two Great Wall pickups a few years back, one of which I managed to snap during one of its visits in town. 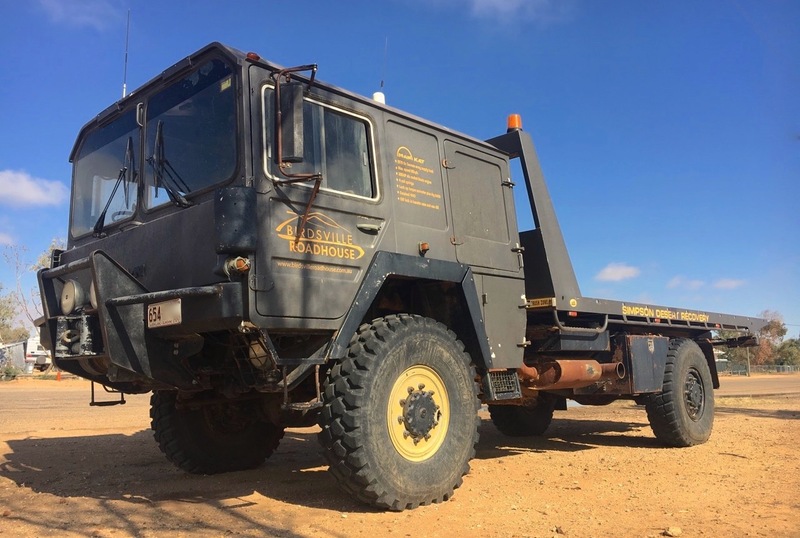 Below is the mighty Man Kat, a 1979 ex German army supply truck and the main recovery vehicle in town for when you get inextricably stuck in the Desert. 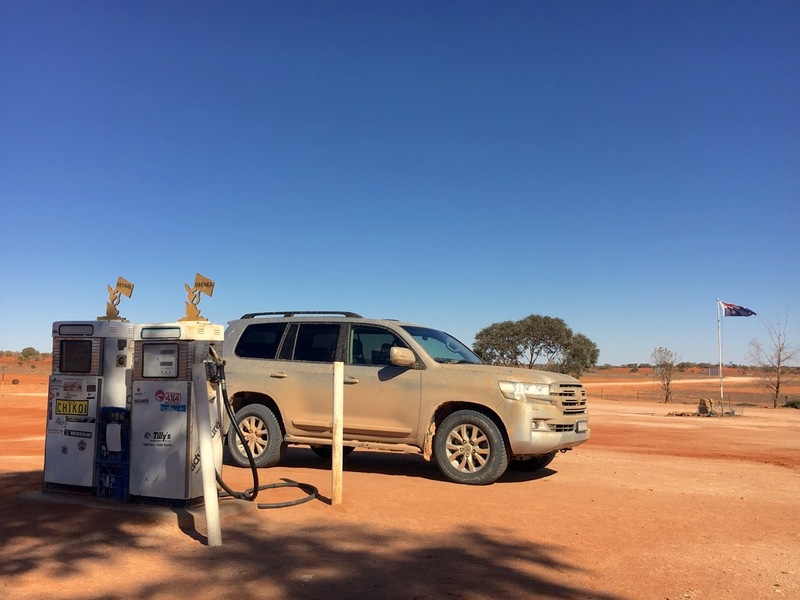 As we described in our last visit to Birdsville, the Toyota Land Cruiser 70 is the vehicle of choice in remote Outback Australia, while the Toyota Hilux is good enough as government vehicle. 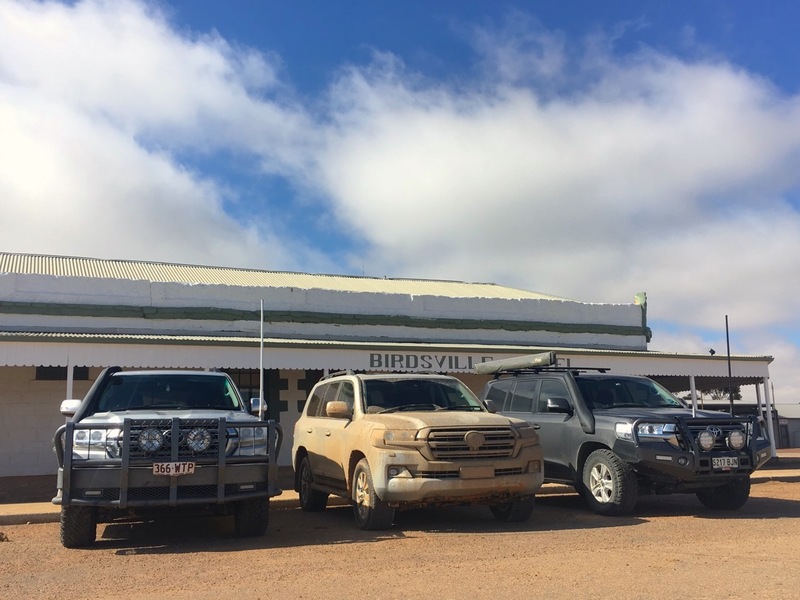 It’s now time to leave Birdsville on our way to Innamincka. 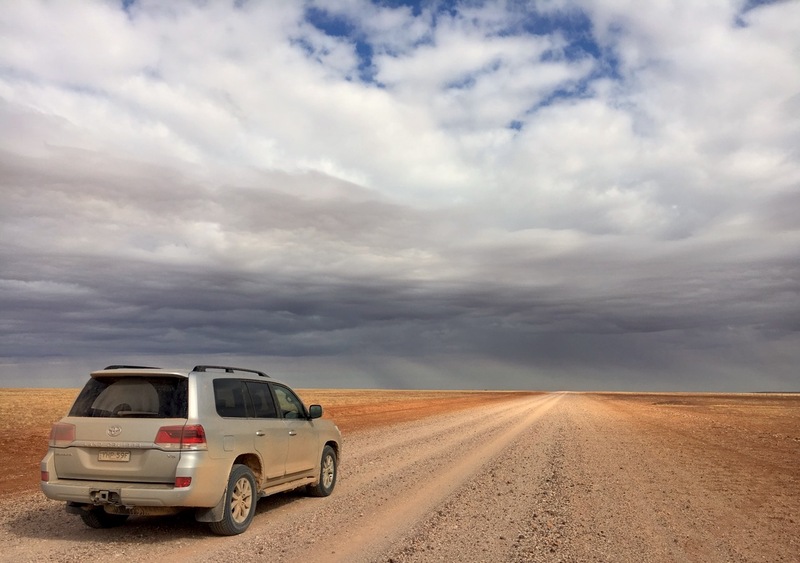 To get there is 400 km of nothingness, redness, sand, dust and rocks: in essence the perfect travel companions. The Arrabury Road is the reddest stretch of land I got to drive on, not only on this trip but most likely in the whole of Australia: it is certainly up there with the reddest patch of track near Uluru in Australia’s Red Centre or the Plenty highway west of Boulia I drove on with a Toyota Prado. 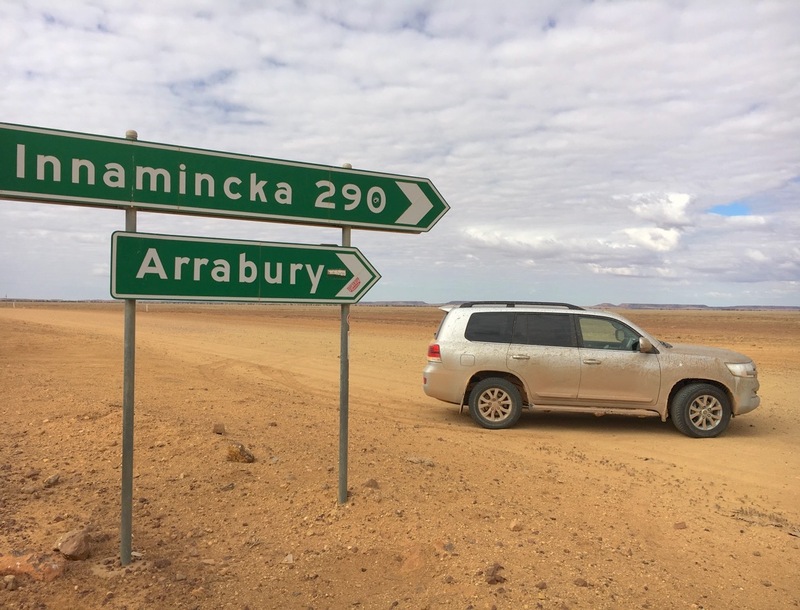 The Arrabury Road is one of the most underrated tracks in Australia, with the Birdsville, Strzelecki and Oodnadatta Track paling in comparison. The inspiring immensity, silence and big skies prompted me to let out the drone to add some footage to make the 2nd video on this article (further up). The recent rain has packed the dirt, making the track silky smooth and enabling speeds of up to 140 kph / 90 mph. Pasha and I arrive at Innamincka, population 12, just in time for sunset-kissed photos. 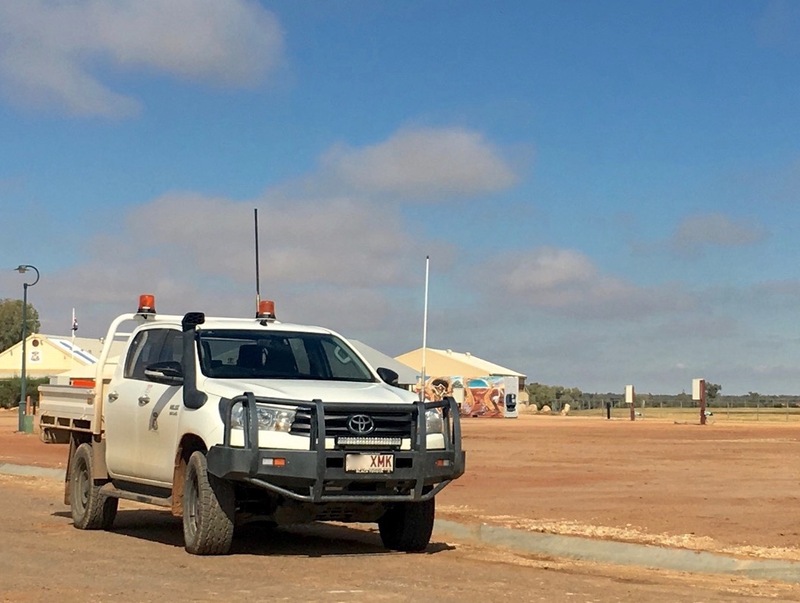 This tiny settlement is not much more than the Innamincka Hotel, Trading Post and a handful of private house. There is no mobile phone or internet network here so we remain cut from the world. 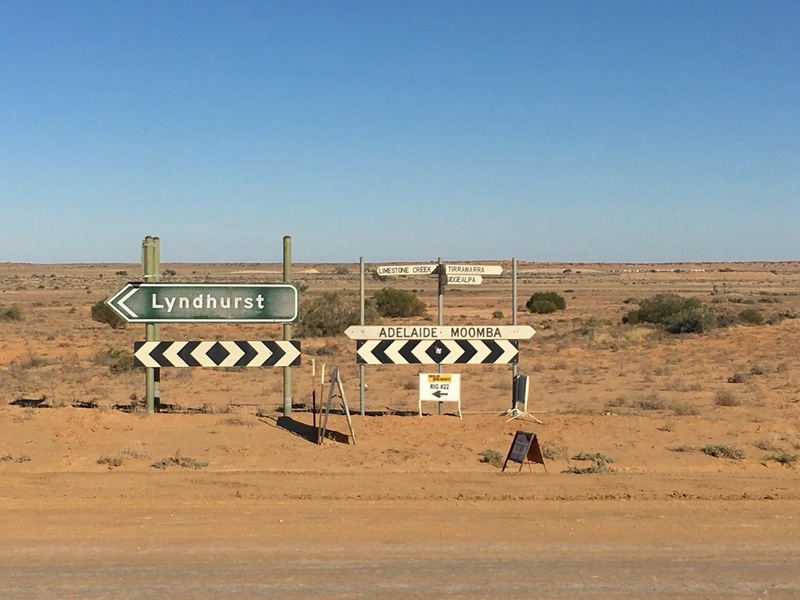 Strangely, Innamincka was a ghost town for over 20 years and was only recently revived for tourism purposes. 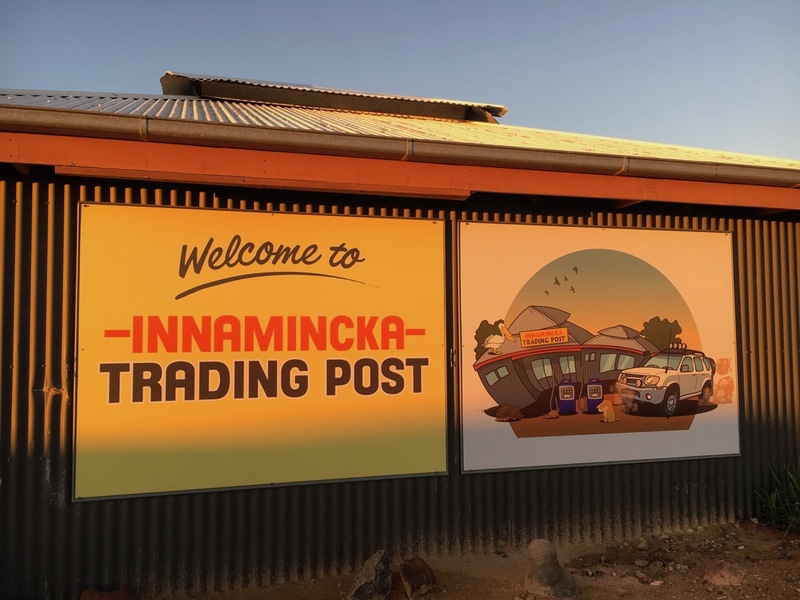 Innamincka was born Hopetown in 1882 when a police camp was set up that allowed a small settlement to develop. Severe drought and poor access resulted in the closure of the hotel, the hospital and the police post in 1951 and the town was abandoned until discovery of gas and oil reserves nearby in the late 1960s revived interest in the region and led to the opening of the Cooper Creek Hotel, now Innamincka Hotel, in 1972. 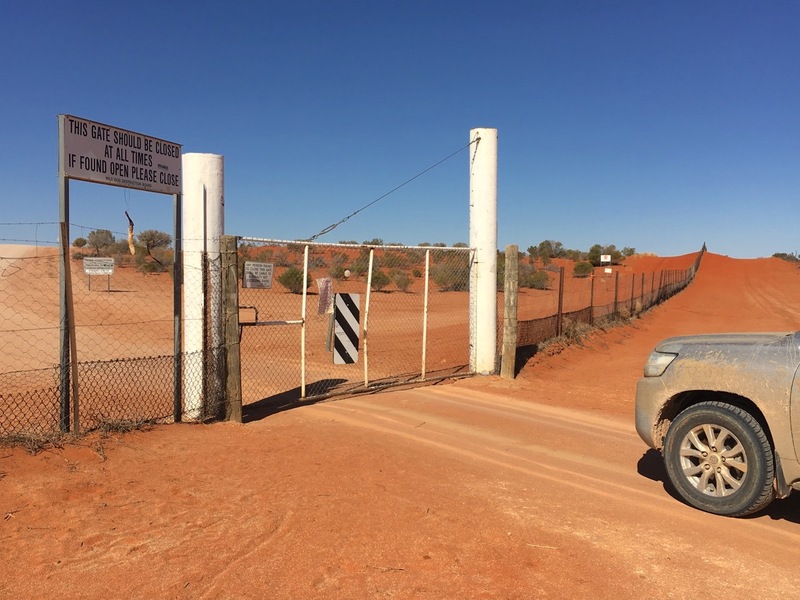 Moomba turnoff and pit stop in Cameron Corner and its dingo fence. 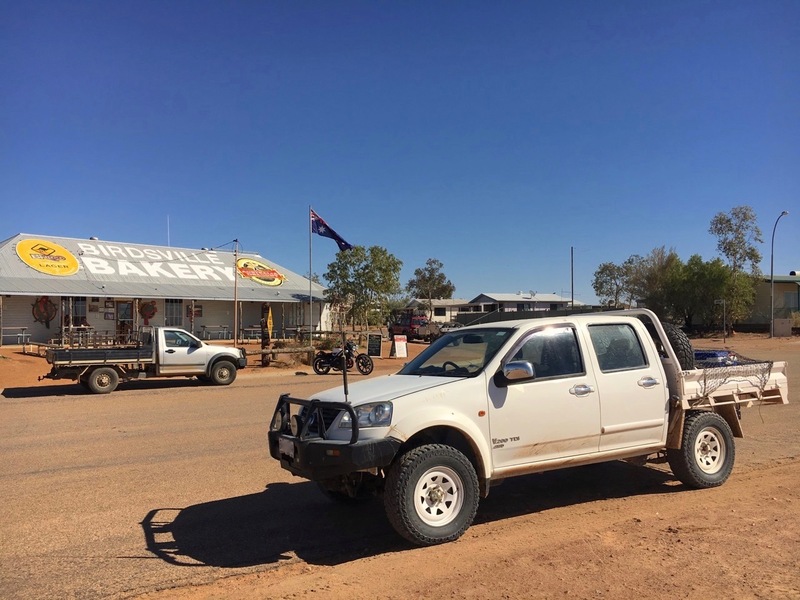 Continuing on our journey south, after 130 km / 80 miles we hit Moomba, established in 1963 after the first commercial gas discovery was made nearby. The weird and unique feature about Moomba is that it’s closed to the public! It is in fact a company town operated by Santos (for South Australia Northern Territory Oil Search) for the sole purpose of exploration and processing of natural gas. Although roughly 1.200 people work here on a fly in-fly out basis, there are no permanent resident population, no facilities, supplies or accomodation. Scheduled Services fly passengers daily to and from Adelaide. Rather out-of-this-worldy isn’t it? 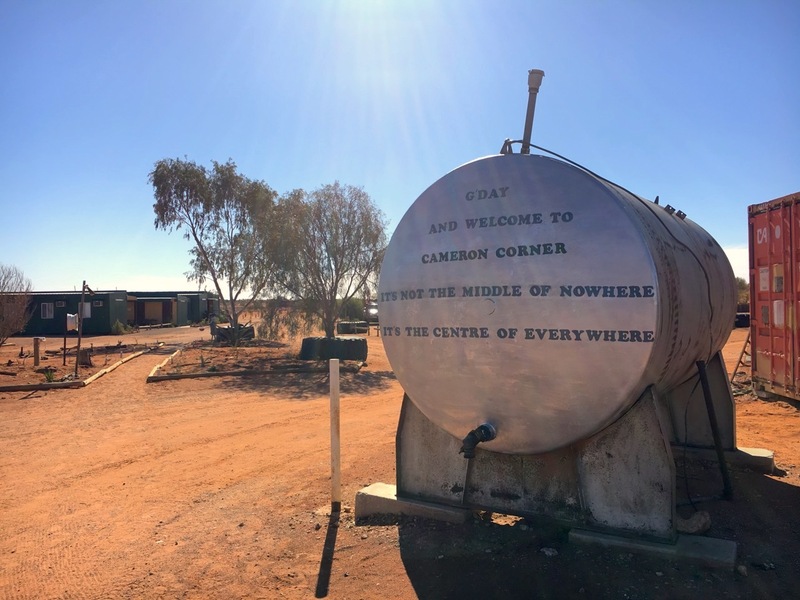 Next (170 km / 106 mi further) is Cameron Corner, the intersection of three states (South Australia, Queensland and New South Wales), named after the surveyor John Brewer Cameron. 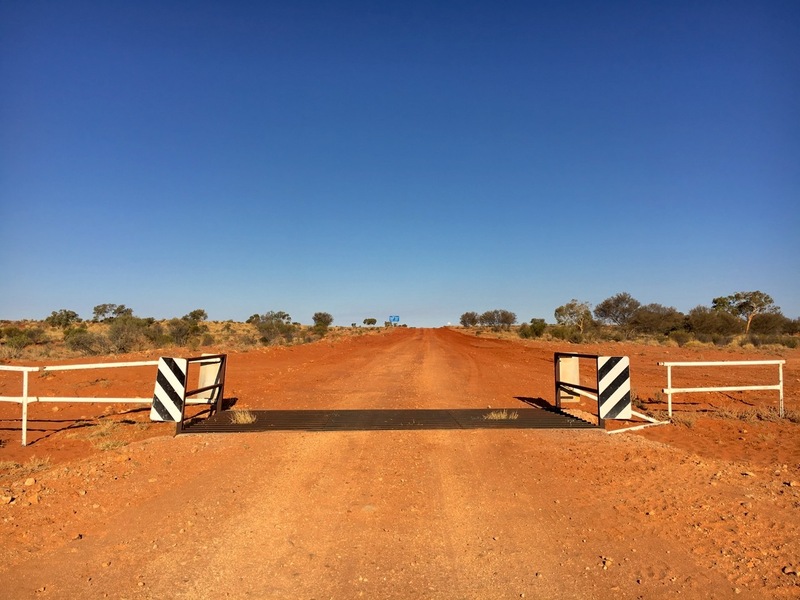 One of the other interests of Cameron Corner is the crossing of the Dingo Fence passing through the location along the New South Wales border. The Dingo Fence, also called Dog Fence, is the world’s largest fence, stretching 5.614 kilometres (3.488 miles). It is a pest-exclusion fence that was built in the 1880s to keep dingoes out of the south-eastern part of the country and protect the sheep of southern Queensland. Check out my last visit of Cameron Corner in a Haval H9 here and here. 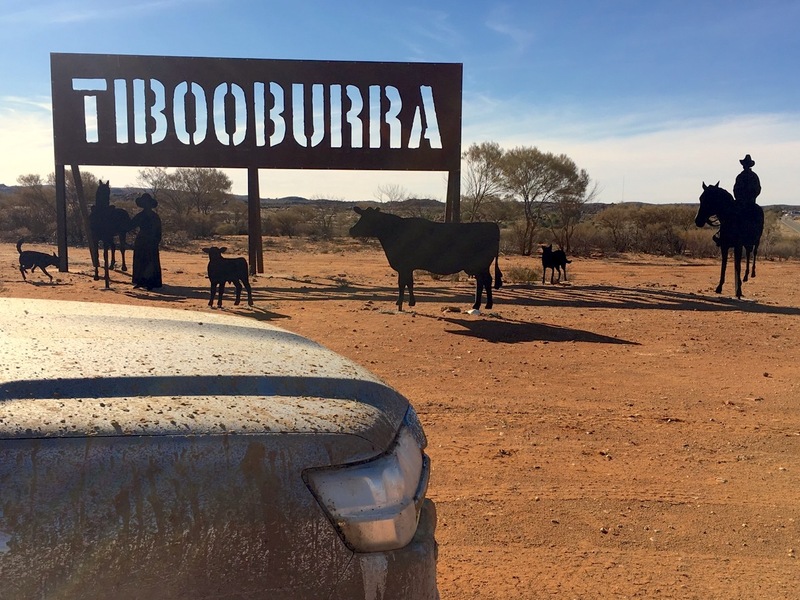 Another 140 km / 90 mi south-east and we arrive in Tibooburra in the state of New South Wales, pronounced “Teeb’barrah“. 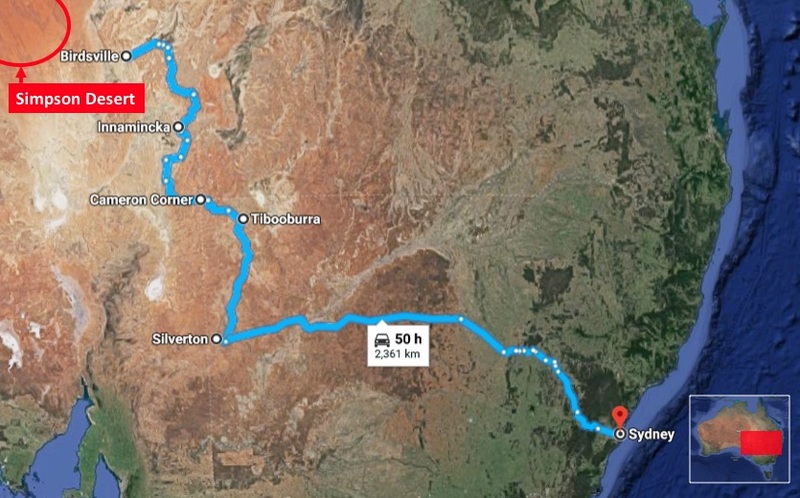 It is the north-westernmost town in the whole of New South Wales, located 1.187km/738 miles north-west of the state capital Sydney. 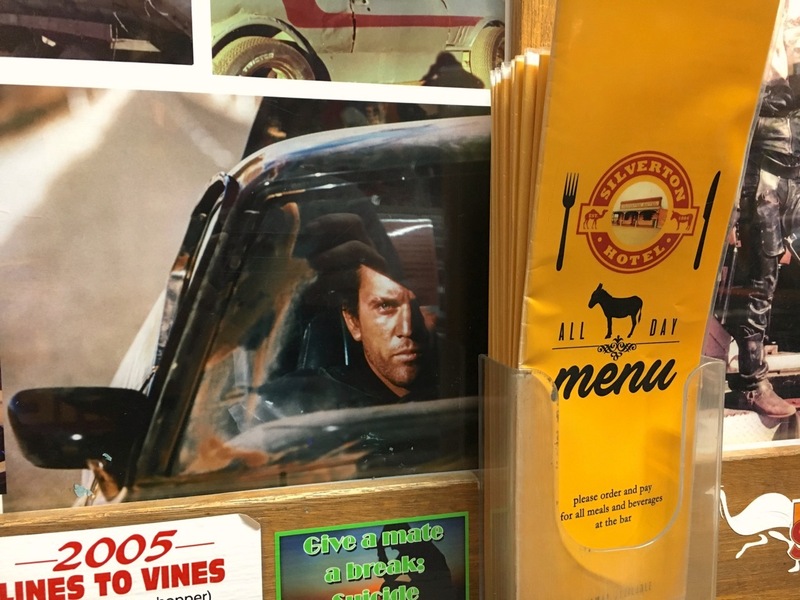 Last time I was in town it was New Year’s Eve 2016 and the Tibooburra Gymkhana and Rodeo was in full swing with cow-boy hats, checkered shirts and jeans the norm. 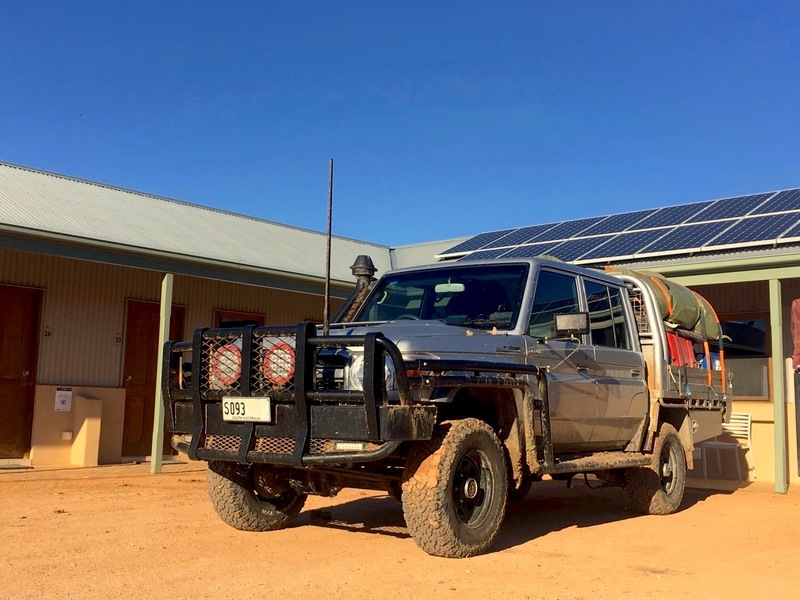 It is a lot quieter today and I make the town a pitstop to unload the 2 jerrycans of fuel I had kept as back-up, as the road will now be mostly sealed all the way back to Sydney. 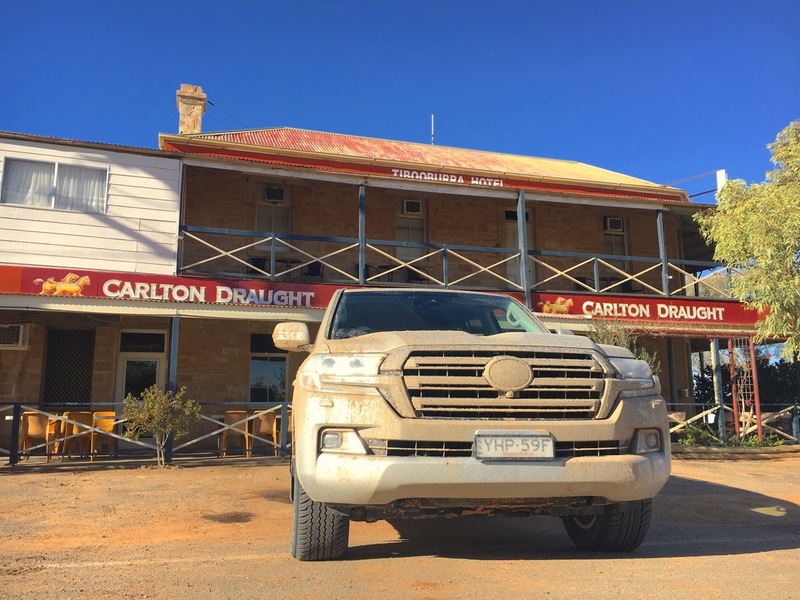 Despite a very smooth and enlarged and sealed-up track compared to 18 months ago – yes the most remote parts of Australia are slowly but surely getting “civilised” which isn’t all a good thing – I fail to hit Silverton, a further 355 km / 220 mi south of Tibooburra, before sunset. 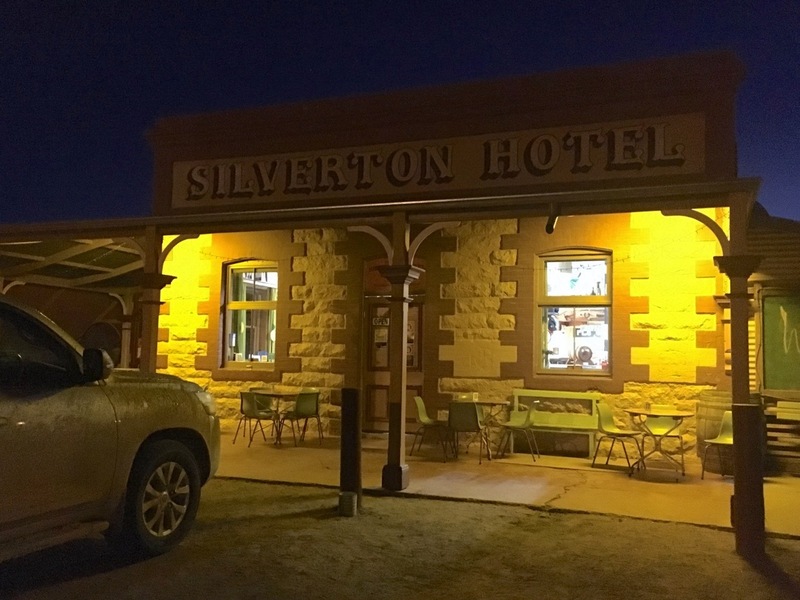 Silverton, population 50, is located 26 km / 16 mi west of Broken Hill, a much larger town of 17.800 inhabitants. 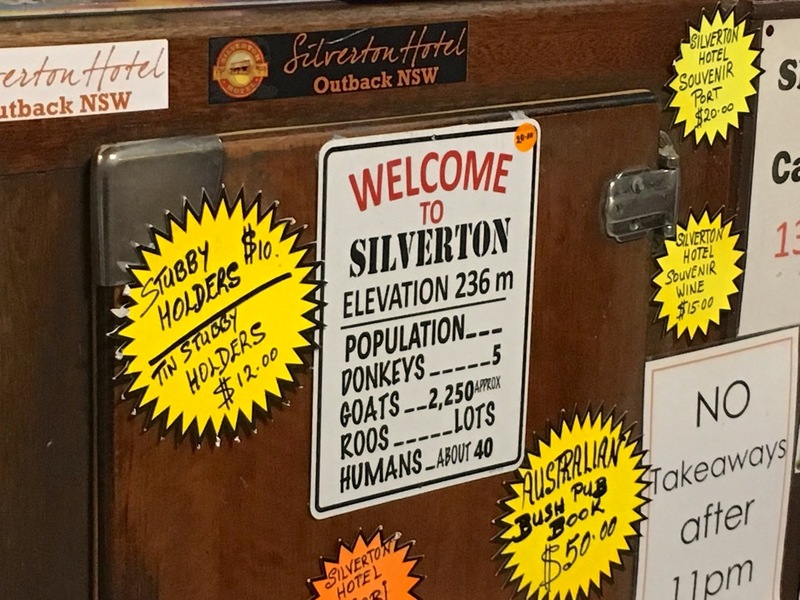 Silverton is named this way because it was created after the discovery of… silver in 1875, reaching a peak population of 3.000 by 1890 before plummeting to just 300 by 1900 as the high-grade ore around town rapidly depleted and the population moved to nearby Broken Hill where a richer silver-lead-zinc ore body was found. 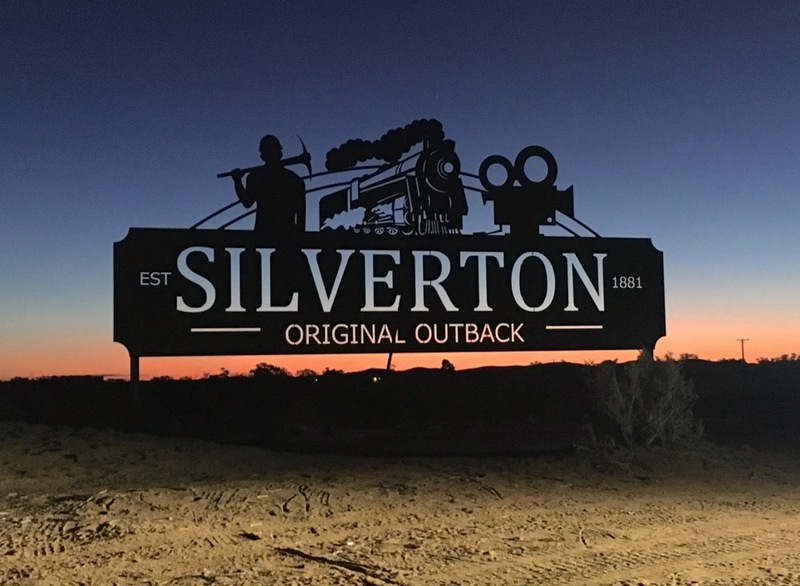 Silverton has been the scene for more than 140 films and commercials including Max Max thanks to the light, the character-filled colonial buildings and its scenic desert surrounds. 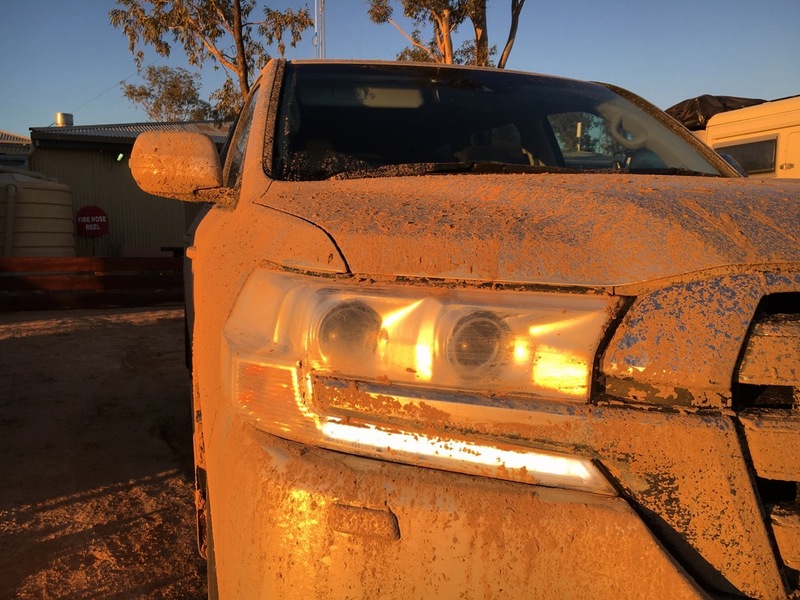 World-best 4WD ability demonstrated by the passing of numerous flooded creeks towards the end of the Simpson Desert Crossing. 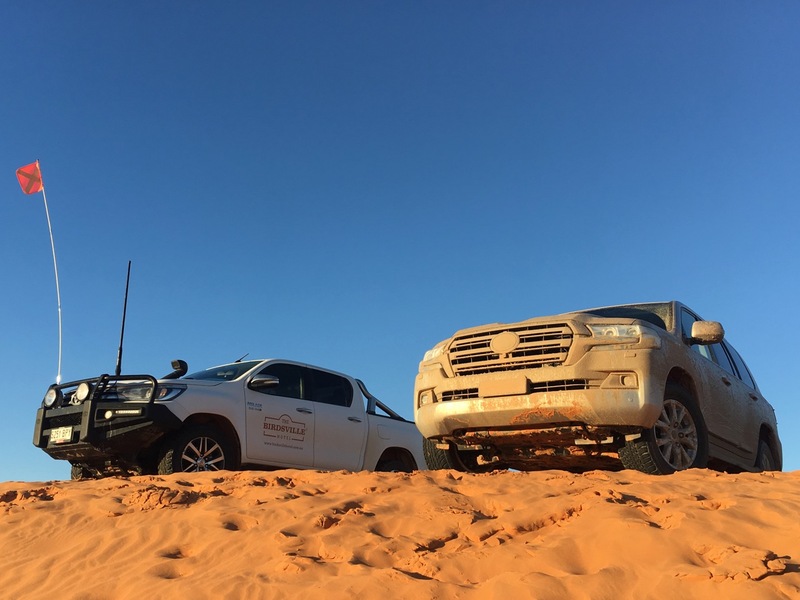 These same creeks at the same time were impassable by a lifted Toyota Hilux driven by a much more experienced driver, proving it all depends on the vehicle and putting the Land Cruiser 200 at the very top of the ladder of 4WD capability. An extremely impressive feat that alone justifies the vehicle’s ongoing popularity in countries with treacherous terrain such as the Middle-East, Africa, Australia and Papua New Guinea. Headlights are the strongest and widest of any vehicle I have ever test driven. 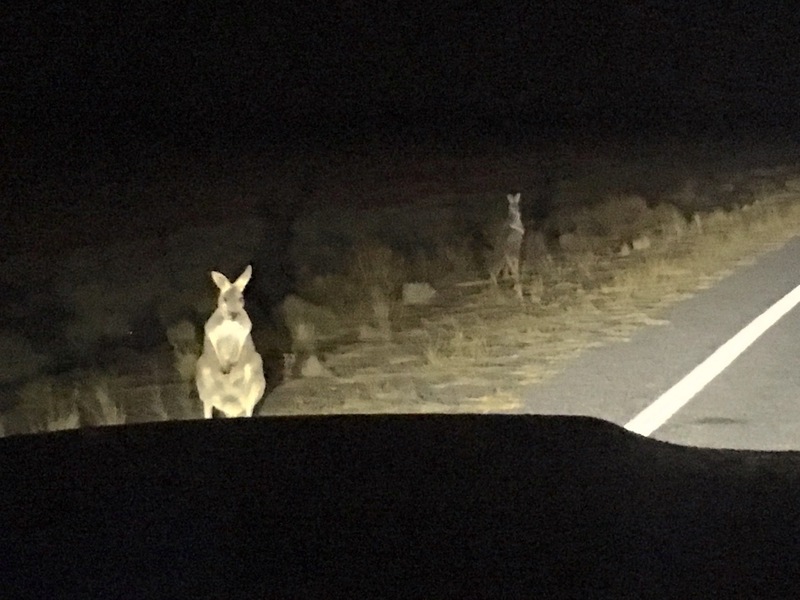 No high beams needed in pitch black Outback Australia and the lit area is so wide – up to five times the width of the road on each side of the road! – that any kangaroos lurking in the bushes is spotted. 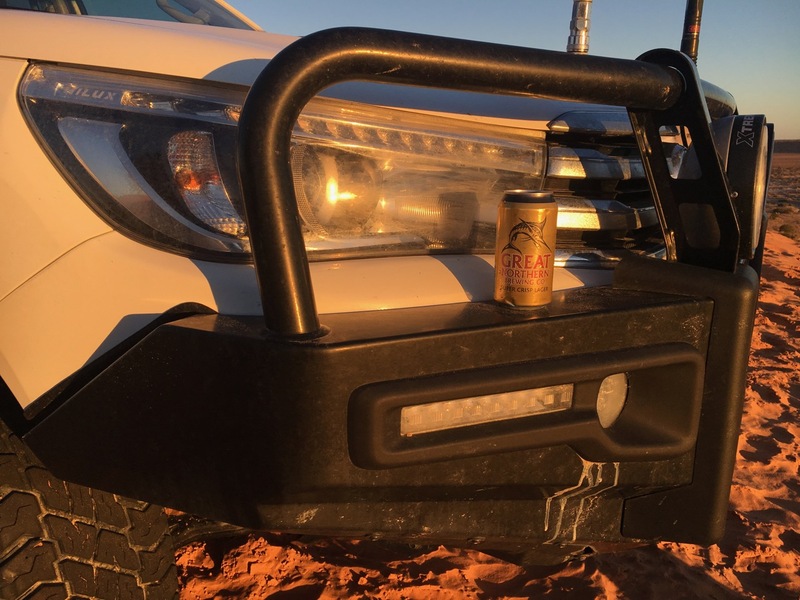 This is invaluable help that enables for night driving in remote areas, usually a no-go due to the high kangaroo-collision risk, a potentially deadly hazard not only for animals but for humans as well. The on-board fridge I enjoyed so much on the Prado is back – very convenient. Sound system is truly amazing. Multiple parking cameras including rear view but also front and sides. No sliding on bull dust unlike the Prado that had to be kept in line constantly. 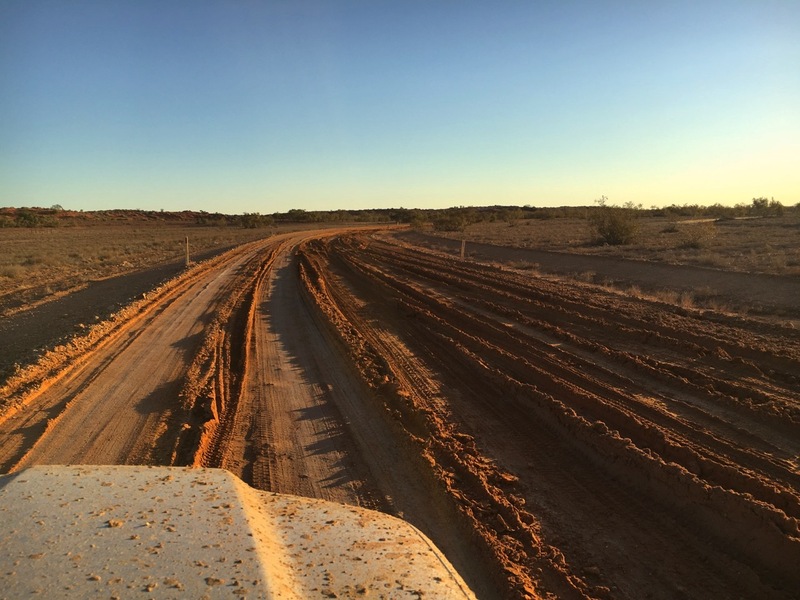 GPS grossly overestimates times to reach destinations by applying a blanket 60km/h average speed to all roads including highways, 40 km/h on unsealed roads. Also often doesn’t recognise the fastest routes! Parking brake is manual – at this price point we would have expected electronic, even a US$8.000/7.000€ Baojun 510 has one. Heavy braking sends the car’s tail way up and wobbling. Storage areas within driver and passenger doors are too small and cant hold a 1.5L water bottle. Very impractical and would have thought given the size of the vehicle this would have been no issues, after all the C-HR manages it. U-turns aren’t achieved in one go one two-way roads. Backseats only fold and don’t offer a fully flat surface hence make it hard to lie down and sleep in the car, not that anyone affording a top-spec Land Cruiser Sahara would actually want to do that, but still. At 2.750 kg this is one of the heaviest vehicles currently on sale which means a lot of inertia when driving on mud. 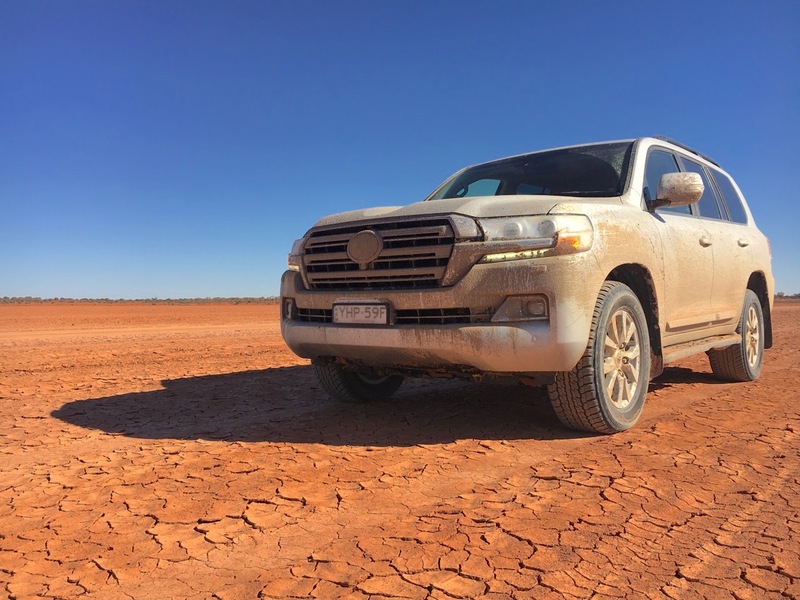 Although a great 4WD, it is grossly overpriced at AUD$129.877 (US$93.900, 80.500€) for the Sahara V8 4.5 T Diesel 4×4 automatic variant with metallic paint.